From Fussen (the town where Neuschwanstein castle is) I crossed the border to Austria to drive through the Tirol, and back to Germany to the town of Garmisch. 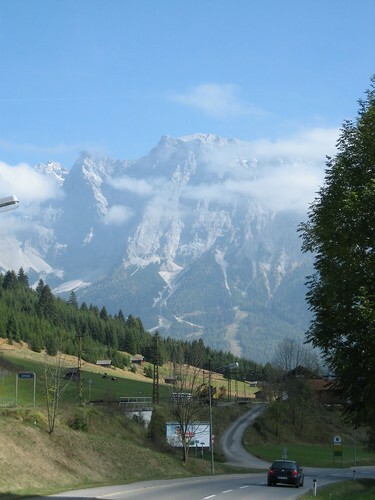 It’s a nice drive through the alps, and the highlight is the Zugspitze, the highest mountain in Germany. 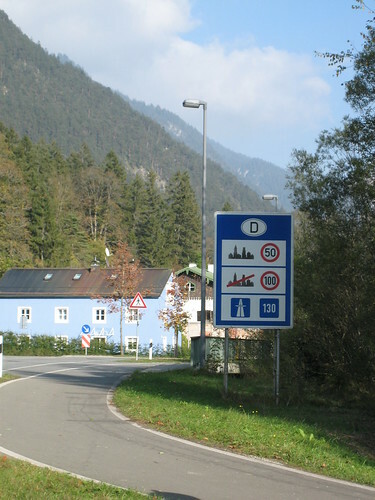 The border between Germany and Austria goes throught the mountain and there used to be a border checkpoint at the summit. On the road you can see the usual speed limit sign as in any other European country, although in Germany there’s a difference, the limit in the motorway (freeway, highway,…) is suggested instead of mandatory. 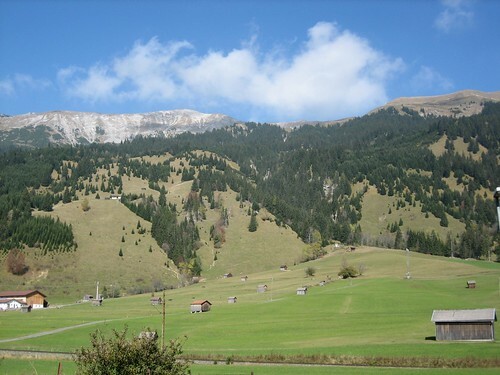 In the Austrian side there’s a golf course at the botton that provides amazing views of the mountain.